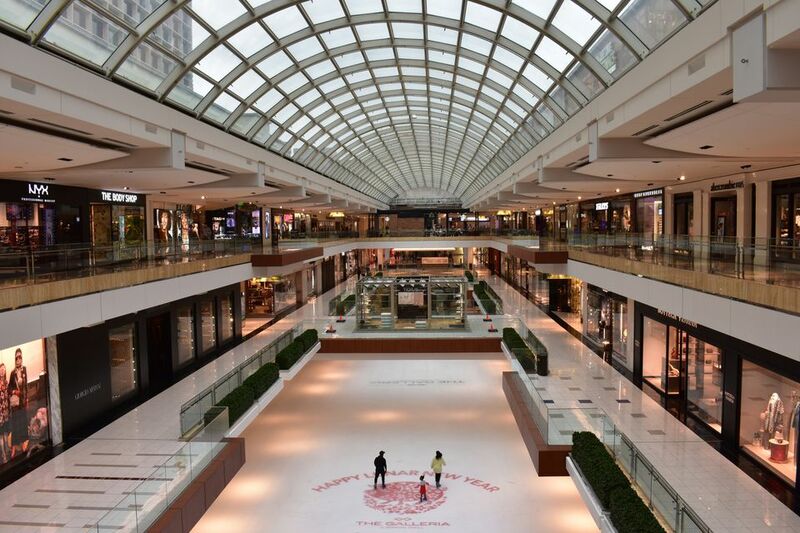 Houston’s most exclusive address has world-class shopping right next door. With a median home value of $1.5 million – and a number of houses worth many times more – this fabled expanse of oak-shaded lawns and jaw-dropping mansions ranks among the most luxurious in Texas, if not the United States. Some of the city’s richest and most prominent characters have called River Oaks home since it was founded in the 1920s around a country club that shares its name. Just across I-610, the Galleria provides the well-to-do a huge, air-conditioned mall that manages to retain the feel of a high-end shopping district. While the original subdivision is smaller, the areas bounded by Buffalo Bayou and Westheimer Road, Shepherd Drive and I-610 are usually considered River Oaks. The Galleria refers to the densely developed shopping, office and residential areas surrounding the mall at 5085 Westheimer Road. If you can’t afford a full-time staff for your home, you probably can’t afford a house in River Oaks. Most of the neighborhood consists of large, single-family houses on generous lots. Many contain at least 5 bedrooms and as many or more baths. Most houses come complete with pool, gate and circle drive, and listings tend to range from just under $1 million to over $10 million. Much like the shopping, the evening scene around the Galleria is decidedly high-end. Pricey wine bars and upscale nightclubs are found in abundance throughout the Galleria area. This is one Houston’s hottest neighborhoods for dining. Hip, delicious eateries range from family-style Italian to Greek to high-dollar sushi. If the restaurants fall out of your price range, try taking advantage of Houston Restaurant Weeks (August 1 through Labor Day), where even Houston's priciest restaurants have good deals on lunch, dinner and brunch. High-end department stores, classy boutiques and an indoor ice skating rink attract 24 million visitors each year to this impressive shopping center beneath the Williams Tower. Among the 375 stores at 5085 Westheimer Road are: Nieman Marcus, Macy’s, Tiffany and Co., Saks Fifth Avenue, Cartier, Nordstrom, Louis Vuitton, and Ralph Lauren. The Museum of Fine Art Houston curates museums within two historic mansions in the neighborhood. Situated among beautifully maintained gardens, the Rienzi Center for European Decorative Arts (1406 Kirby) is packed full of historic furniture, sculpture, ceramics and paintings. The Bayou Bend Collection and Gardens (1 Westcott) offers a similar trove of American art in the carefully preserved manse donated to the museum by Ima Hogg more than 50 years ago.